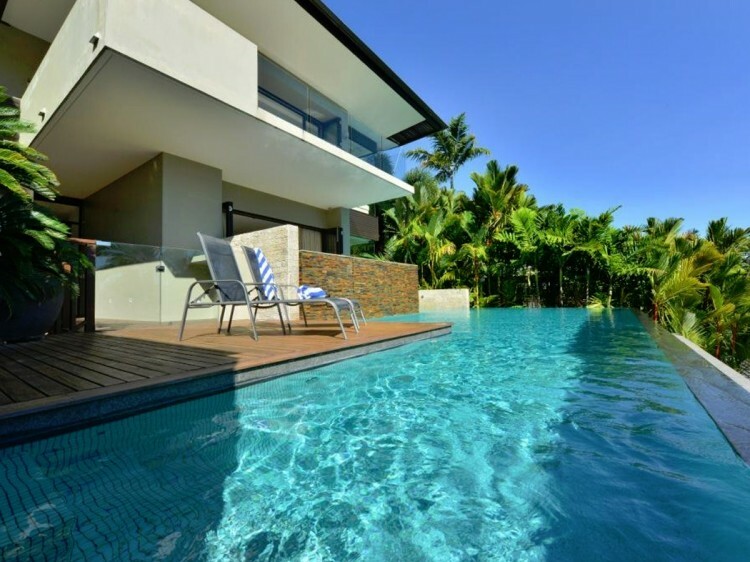 Located on the Millionaire's stretch in the heart of Port Douglas. 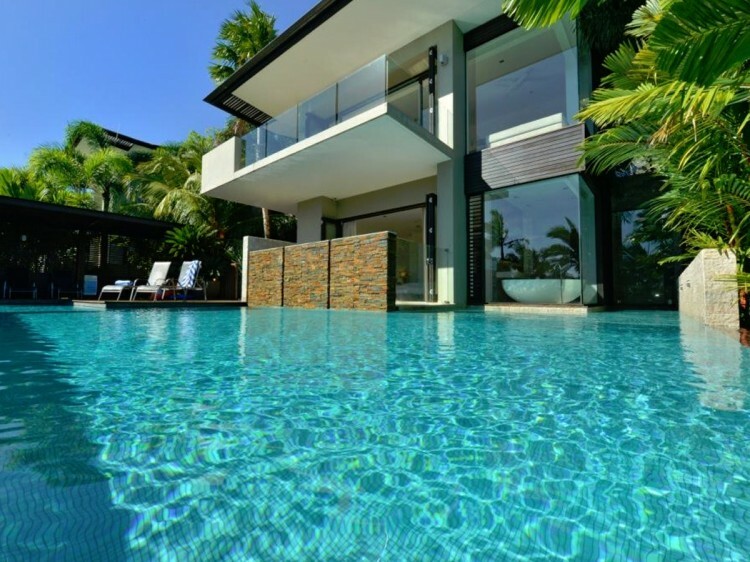 The ultimate in luxury houses, indulge yourself in this luxury 4 bedroom 4 bathroom villa style house, where all of your needs have been considered to create the perfect luxury retreat. Experience the elements of nature in the tropics, while only being just a short walk to the restaurants and beaches of this exclusive village. 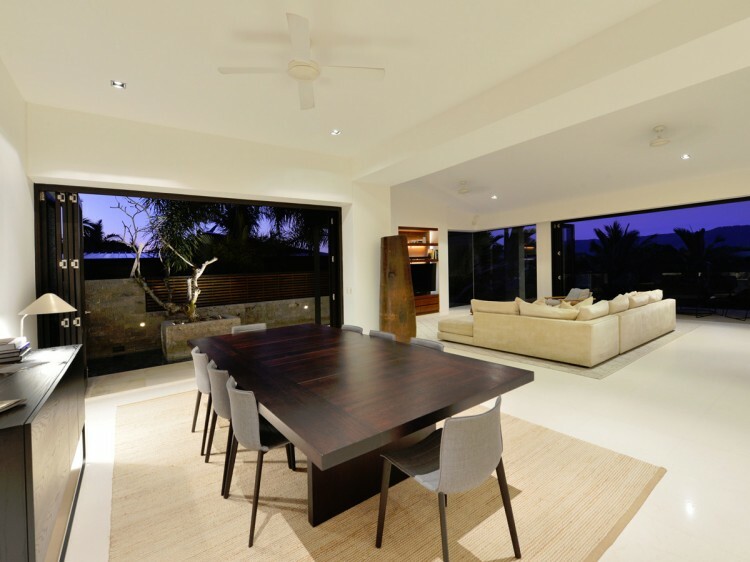 With three terraced levels, this house is tucked into the tropical surrounds. Enter the upper level of your holiday house, with ultra-chic interiors and find the lounge, dining, kitchen and entertainment rooms. 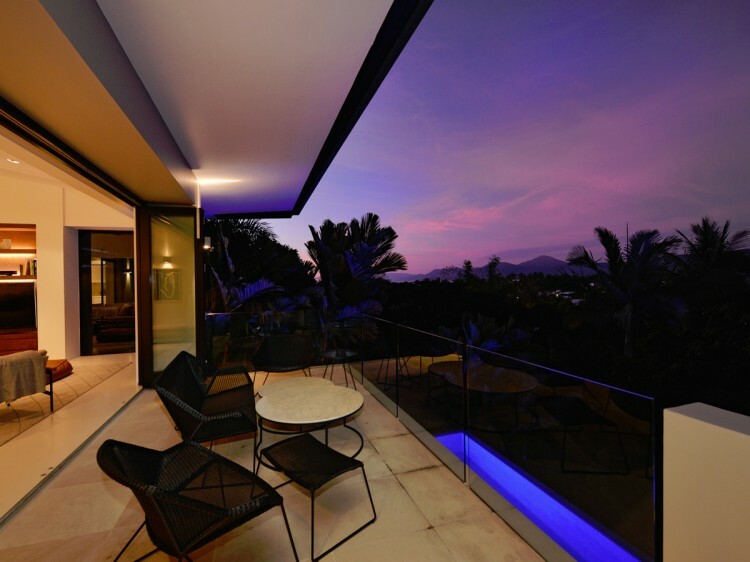 Gaze over the balcony of this immaculate luxury private house to the views of Port Douglas and beyond. Downstairs you’ll find your spacious haven; your king sized-bed, egg-shaped bath, along with a second room across the hall for friends or family to spend some time relaxing with you and catching up. And if your guests feel like a little more privacy, then follow the timber walkway down to the lower level, where you’ll find a 2-bedroom, 2-bathroom Malaysian inspired bungalow.